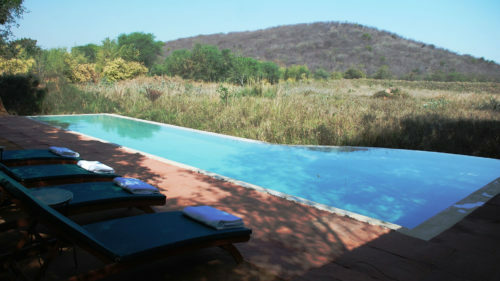 Guests staying at Sher Bagh will experience 'pukka' elegance at Ranthambore's first luxury tented camp. 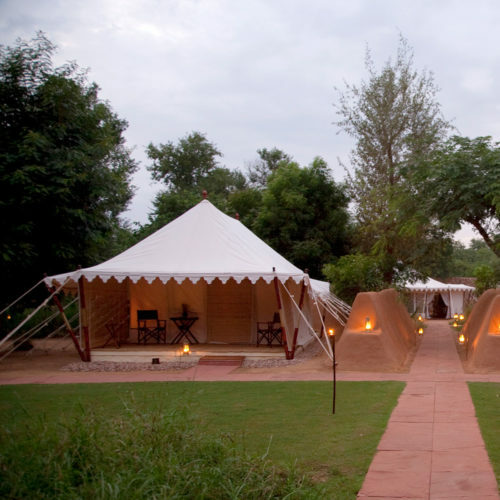 This Relais & Châteaux endorsed property comprises twelve 'Campaign Style' tents created in the style of the Raj era. 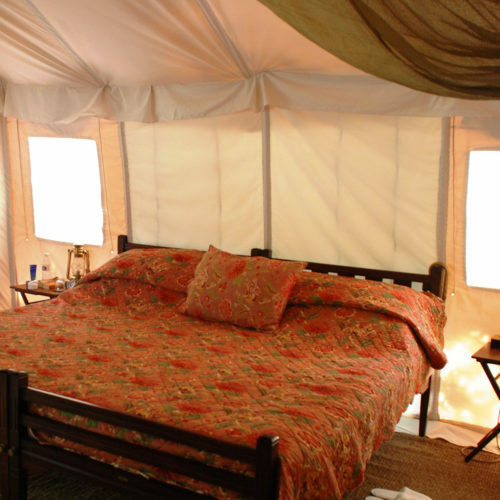 Each tent is appointed with a spacious en-suite bathroom and private sit-out area. 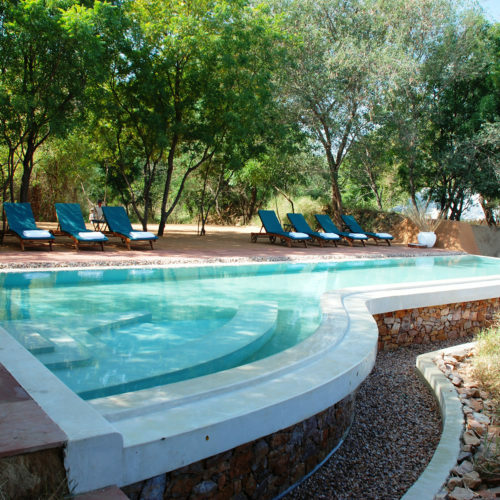 The Jungle Spa and handcrafted swimming pool offers a much-needed tonic after a long day's safari. Traditional thal is served around the campfire at night, celebrate the authentic flavors of Rajasthani fare.